Business description from prospectus - Silver Touch Technologies offers information technology solutions into multiple areas like System integration and Software Development. The company is providing all end-to-end Information and Communication Technology (ICT) solutions to its clients under a single umbrella. Initially, the primary functional areas were restricted to computer sales and maintenance. Building through a path of more than two decades, presently Silver Touch is offering a variety of services in the field of Information Technology solutions to its clients. The Company has carried out several domestic and international Joint Ventures which have enabled it to expand its geographical reach and create diverse clientele. The company has executed various projects in India and other countries including USA, UK, France, Australia, Middle East and Germany. 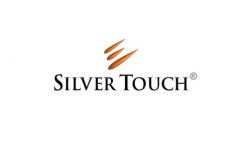 Silver Touch Technologies IPO allotment status is now available on Link Intime’s website. Click on this link to get allotment status. When we check Allotment status, than its show record not found. Kisi ka allotment successs hua h Kya? SAME POSITION.. SHOWING NO RECORD FOUND. MAY BE SOME MISTAKE. THE ISSUE WAS CLOSED ON 23/11/2017. IT IS UNLIKELY THAT ALLOTMENT IS OUT ON 24/11/2017. Plz inform them it’s work properly. very expensive. Pl don””t be FOOL. Sure listing loss like Ashok Masala & Nouritrans Exim Ltd.
How can I invest in your iPo from Dehradun uttrakhand I mean bank name or broker at Dehradun or any online link? Try netbanking of any major bank. All allows ipo applications nowa days. Should definitely invest in this company for superb returns in short time. CAN I INVEST IN THIS COMPANY?